Wristbands are encircling strips worn on the wrist, made of any of a variety of materials depending on the purpose. The term can be used to refer to the bracelet-like band of a wristwatch, to the cuff or other part of a sleeve that covers the wrist, or to decorative or functional bands worn on the wrist for other reasons. 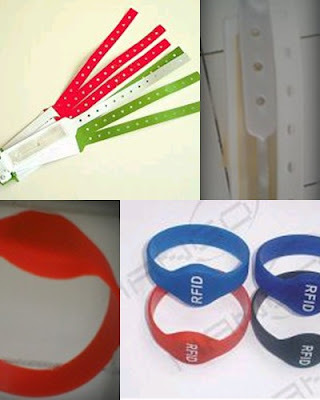 Another common type of wristband is the loops of plastic or tyvek that are placed around the wrist for identification purposes (demonstrating the wearers authorization to be at a venue, for example). Standard Deployment: Access control, Healthcare, etc.